I was very frustrated yesterday after the memory card of my camera crashed and I wasn't able to show off my beautiful crostata with pecan and blueberry pie filling. All I could rescue was only one photo of the crostata before it went into the oven. So to redeem myself, I'm offering you un cadeau de consolation, a consolation prize with a blackberry polenta tart. 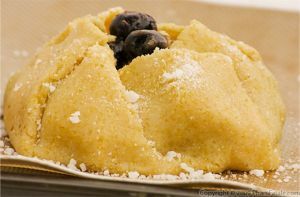 The sweet dough is made with polenta which gives a very crumbly texture. I filled the tart with blackberry preserves, topped them with fresh blackberries and finished them with a kaffir lime ginger glaze. Everything was gone, it was delicious. Mission accomplished! 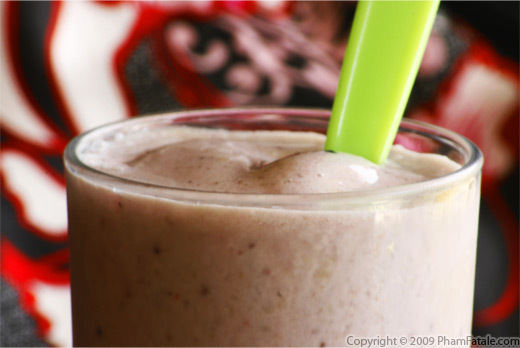 Using a handheld mixer, whisk the egg with 2 tablespoons of sugar until you get a pale, yellow foam. It'll take about 5-6 minutes. The consistency must be very airy. Add the vanilla and anise extracts. Set aside. Lightly oil the bowl of your food processor with a silicone brush. Add 1-1/2 cups of flour, baking powder, 1/3 cup sugar, the polenta, 1/8 teaspoon of salt. Blend for a few seconds, then add the cold butter. Pulse the mixture until it forms crumbs of butter and flour. Add the egg mixture. Pulse another 3-4 times until it forms a dough. Do NOT overmix. Transfer the dough onto a pastry board lined with a sheet of parchment paper. Even out the dough using a rolling pin to about 1/2 inch thick. Create about 10 disks. Line 10 pie shells with parchment paper. Place the dough in the individual pie shells previously buttered (or in 2 9-inch pie pans). Wash the blackberries. Place about 1 pound of blackberries in a deep saucepan. Coat them in 1-2/3 cup of sugar. Let stand for about 10-15 minutes until the juices begin to flow. Bring the mixture to a boil, lower the heat to a gentle simmer, and cook for about 15 minutes. Stir frequently using a wooden spoon. Let them stand for about 15 minutes. Bring back to a boil. Skim any foam that develops on the top before pouring into a large Mason jar. Add the cinnamon extract. Assembling the blackberry tarts: Place about 2-1/2 tablespoons of the blackberry preserves in the center of each round of polenta dough . Bake for 15 minutes at 375°F, lower the temperature to 350°F and cook for another 30 minutes until golden brown. 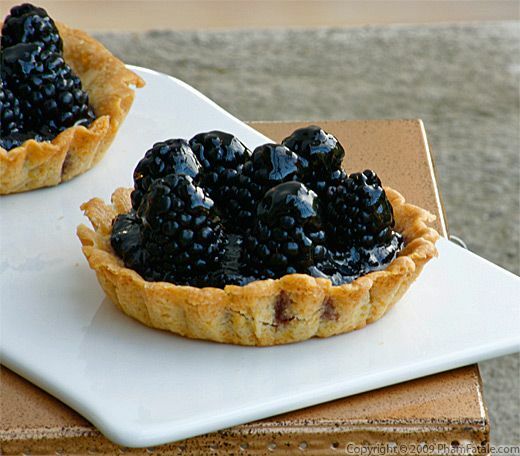 Turn off the heat, then immediately place 7 fresh blackberries on each tart. 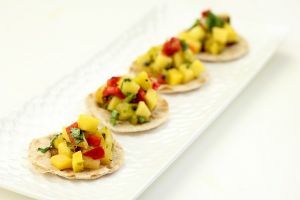 Brush the tarts with the warm kaffir lime ginger glaze using a silicone brush, for a nice glossy look. Let the tarts cool for at least 20 minutes. You can serve them warm with a scoop of vanilla ice cream. Serve warm with hot tea or a cardamom-flavored Arnold Palmer if you like. I keep repeating myself but I prefer making mini desserts. The tartlets always make my guests feel less guilty , which means they always ask for more. I serve 8 tartlets or you can serve them in 2 regular-sized crostata for very hungry dessert eaters. To form a flaky dough, it's important to use cold diced butter. I use McCormick anise extract. If you don't have any, you can use star anise seeds, dry roast them and grind them finely in a mortar and pestle. I used the same kaffir lime ginger glaze for my apricot tart with almond cream. If you like making jams and preserves, check out my kumquat marmalade recipe. Let the tartlets rest for at least 20 minutes before serving. The preserves will thicken as it cools and will be much easier to cut, especially if you're making it in a large pie pan then have to slice it. For canning the rest of the blackberry preserves: Fill a big pot of water and bring to just under a boil. Place the Mason jars, lid, heat-proof funnel and tongs in the pot and let boil for 10 minutes. Be sure to read the instructions that come with your Mason jars. They'll give you exact time and techniques. Remove the jars from the water and fill with blackberry preserves leaving about a 1/4-inch head space or whatever your canning directions say. Carefully place the lid on the jar. Tighten the collar around each jar. Bring your big pot of water to a boil and place all the sealed jars in it for 10 minutes. Remove the jars from the water. If the top of the lid still pops, the vacuum didn't form and you'll need to consume the product in the next couple of weeks, storing it in the refrigerator. Otherwise you can store it in your pantry for up to a year. Enjoy! 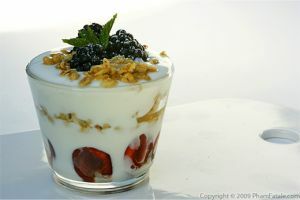 You can substitute any other fruits for the blackberries, depending on the season. Wouldn't a raspberry pistachio tart sound good as well? 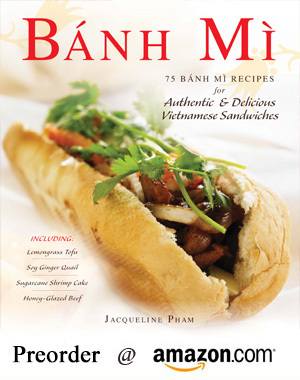 Published By: Jacqueline Pham on June 17, 2009. Oh wow! This is a great runner up then. You outdid yourself. The tarts are perfect. I love the idea of polenta in a dessert. Wonderful! 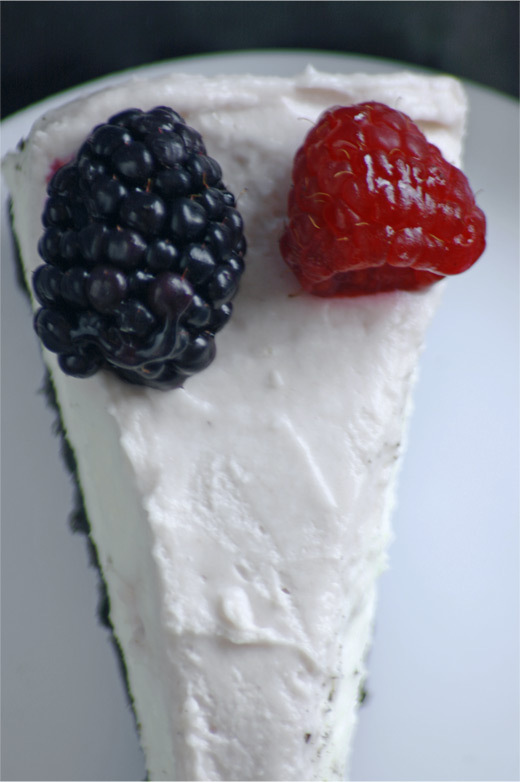 Your polenta crust sounds great for a blackberry filling! The crostata sounds delicious too. Looks delicious. I love kafir lime leaves. They smell like citrus and flowers at once. Beautiful! 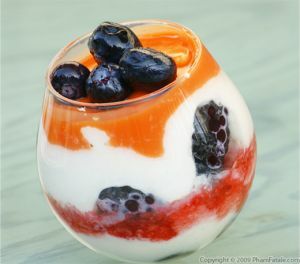 That looks so juicy - perfect way to celebrate spring fruit. i just came over your blog and I love it! 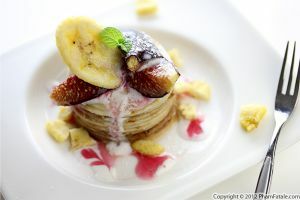 Great recipes, gorgeous pics and I especially love your very useful tips!